The word “virtuoso” might bring to mind a time-worn violin master who seems too frail to hold a bow, only to drop the façade of age the moment he starts to play, astounding the audience with talent that younger players could hardly hope to parallel. And perhaps in an earlier era, playing music like that really was the realm of the dedicated elite who devoted their entire lives to their craft. As I’m fond of pointing out, however, we live in an unprecedented age. Today, scores of promising musicians who would never have signed to record labels or been granted a spot on the radio are able to reach people directly through the Internet. 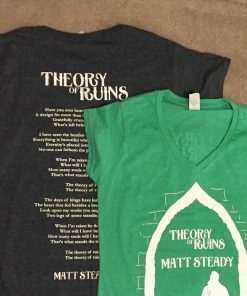 As a result, whether we are simply hearing more and more musicians who were previously ignored, or whether more talented individuals are able to get in the game, the upshot for us is that we must rethink what a virtuoso really is – and England’s Matt Steady helps us do just that. I’ve said before that genre is becoming an increasingly outdated way of describing music, with so many artists blurring the lines between the old categories. Yet terms like “rock” or “blues” still provide some useful points of reference when trying to see what an artist is doing, and in Matt Steady’s case, we can observe how he plays loose and free with them. I’d like to describe what he does in “Blood is thicker than gold” as a kind of “virtuoso fusion.” The fusion is a complex blend of Celtic music with that classic American trio of rock, blues, and folk music. What makes it virtuoso, however, is the way he seizes these categories and forges them together in a signature way. It’s not just a matter of how masterfully he plays the guitar, remarkably so for a debut album, or how weathered his voice sounds (reminiscent of the legendary Leonard Cohen). The difference between an amateur musician and a master may be whether they simply repeat what’s come before or create something new, and Steady does the latter. On one track, he might blaze a folk-infused rock/blues trail that sounds like Pink Floyd spent a year wandering across America (see “The Roamer”, video above). Yet he just might surprise us with Celtic sounds transformed into the meeting place for totally unexpected instrumentals (see “Romulus and Remus”). 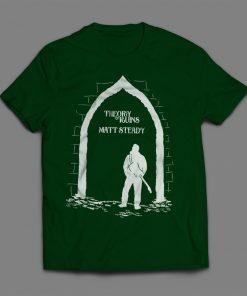 Ultimately, there’s a perfect storm in place for Matt Steady’s debut. His mastery of both guitar and his classical training in piano and violin; his synthesis of four distinct styles into one vibrantly personal trademark; his presence on Facebook, Twitter, Soundcloud, Bandcamp, and his own site. Steady need not be an aged Italian concertist to be a virtuoso – his proficiency and savvy are already taking him there at a much younger stage.